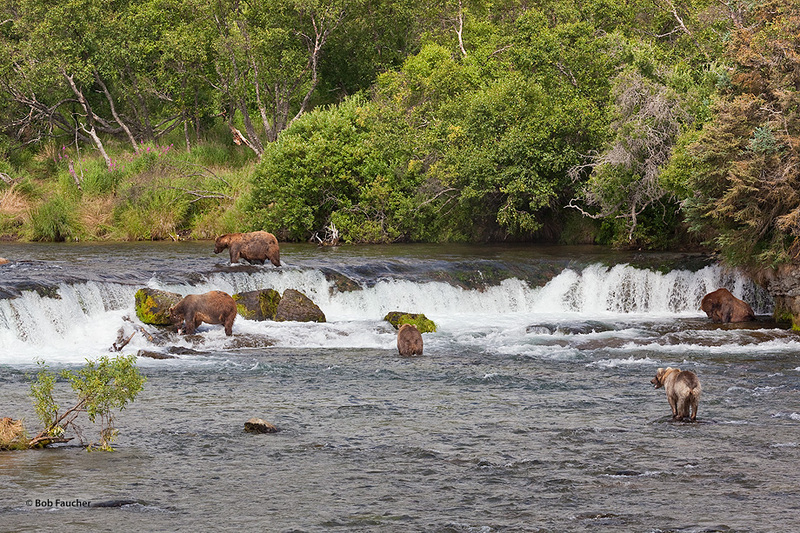 The bears at Brooks Falls all have different strategies for catching fish and claim territorial positions in the river as well as on and around the falls. There were seventeen bears in this locale on this day. Photo © copyright by Robert Faucher.